Files with cmtx suffix can be also encountered as special molecular drawings from CrystalMaker software. What is cmtx file? How to open cmtx files? 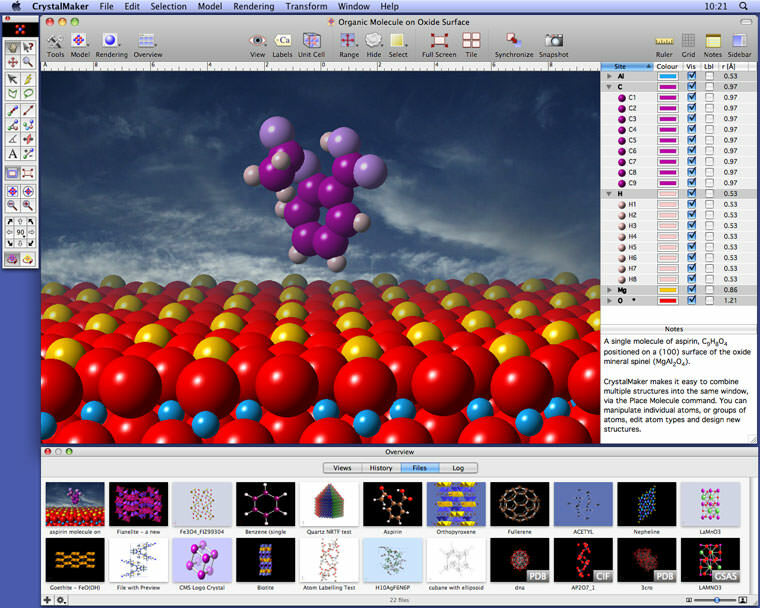 File extension cmtx is also used in CrystalMaker, a program for building, displaying, manipulating and animating all kinds of crystal & molecular structures. A .cmtx file contains contains molecular drawing in text format. CrystalMaker is an advanced chemical & materials modelling program, featuring energy minimization, crystal-engineering - combined with full crystallographic model building and visualization. Use CrystalMaker to open the .cmtx text files. Some kind of export or conversion to molecular exchange formats is likely possible. and possible program actions that can be done with the file: like open cmtx file, edit cmtx file, convert cmtx file, view cmtx file, play cmtx file etc. (if exist software for corresponding action in File-Extensions.org's database). Click on the tab below to simply browse between the application actions, to quickly get a list of recommended software, which is able to perform the specified software action, such as opening, editing or converting cmtx files. Programs supporting the exension cmtx on the main platforms Windows, Mac, Linux or mobile. Click on the link to get more information about CrystalMaker for open cmtx file action. Programs supporting the exension cmtx on the main platforms Windows, Mac, Linux or mobile. Click on the link to get more information about CrystalMaker for edit cmtx file action. Programs supporting the exension cmtx on the main platforms Windows, Mac, Linux or mobile. Click on the link to get more information about CrystalMaker for create cmtx file action.